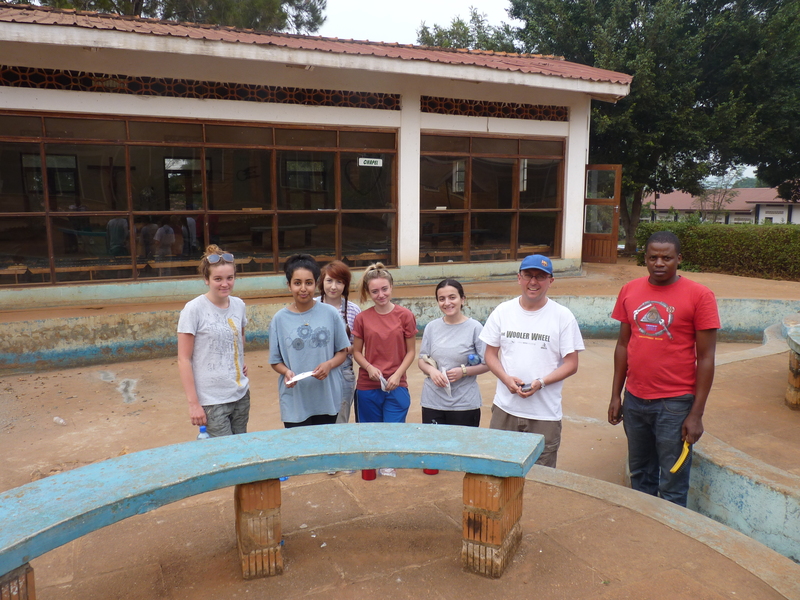 In summer 2013 fourteen Year 12 and 13 students set off for their long awaited visit to St Charles Lwanga GTC, Kalungu. 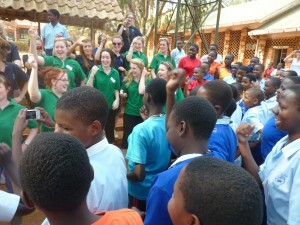 The girls had been preparing for over 12 months, raising money, discovering about life in Uganda and even trying to master some basic Lugandan. Then suddenly they were there: the long flight over, the long dusty roads crossed and the gates of St Charles opened. From the first day when Sr Liz suggested our students shadow the school’s prefects, strong bonds were made. 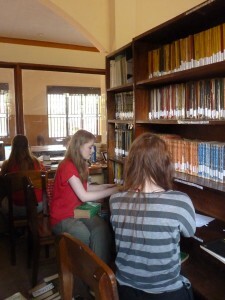 Whilst there, we s pent a long time re-organising the books in the library. 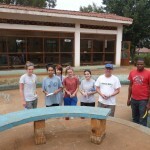 There were a couple of painting projects too: the pond and sitting areas as well as the stage. We hope these helped brighten up the surroundings for everyone. Mr Wilkes and Miss Blissett also worked with some staff on ICT skills. Diversions fro m these activities came with the arrival of visitors from Ireland and Austria, both with Sacred Heart connections. The four nationalities took part in a mini Sacred Heart Olympics; the netball proved a hilarious challenge for the Austrians who had never played the game before! The able St Charles team were the winners. 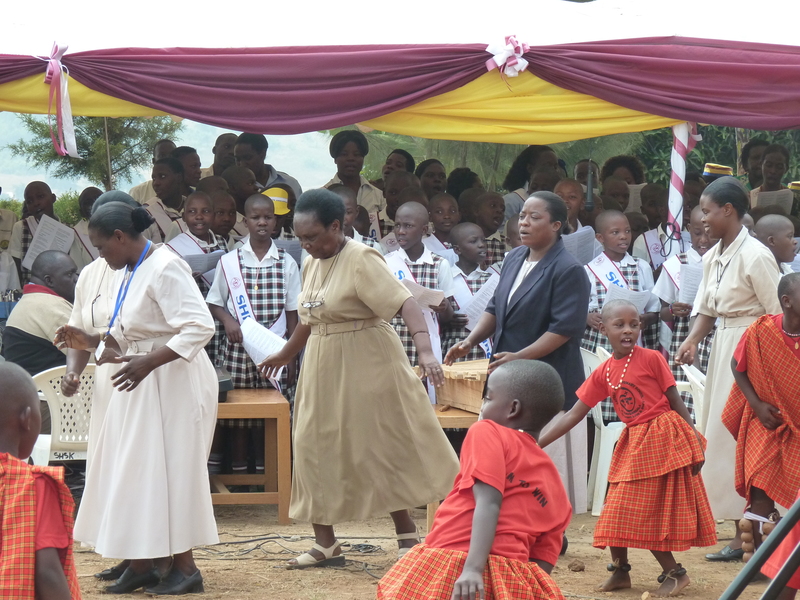 Later in the week there was a debate comparing education systems and a visit to the Sacred Heart Primary School in Kyamusansala to celebrate their 10th anniversary. 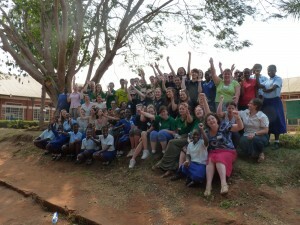 Many thanks to Sr Carmel Flynn for organising everything in Uganda for us and to the RSCJ community for their warm welcome. 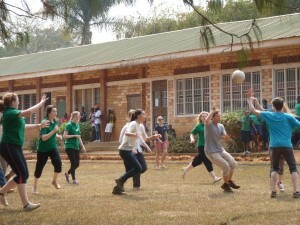 Uganda was the most humbling and inspiring experience I have ever had. During my time there I got the opportunity to meet so many amazing people from the students at the school, enthusiastic teachers and the Sisters who worked at the school. I was shocked to learn that the girls get up at 4am to do chores before starting lessons at 7am continuing till 10pm on some nights. Visiting St Charles Lwanga School has made me more grateful of all the opportunities that are given to us at our school and has made me value my education more after seeing how motivated and focused to get a good education the girls were. One of the tasks that we did while at the school was to organise their library and log all the books in a system. It was eye opening and shocking to see how old and battered the majority of the books were that the girls had to use, some of the books were published in the 1920’s! 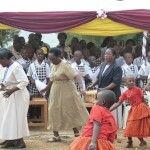 This made me realise how determined the students were to get an education. One of the most memorable things for me was the masses that we attended. 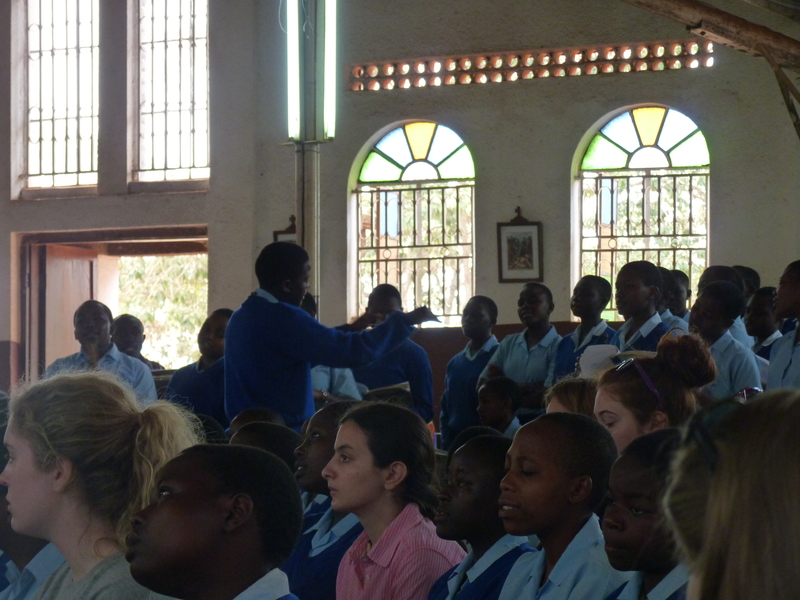 The evening services in the school chapel were really heart warming with the whole school singing hymns, some of which we knew and could sing along to but also some new ones that we loved: the girls were all very enthusiastic and made us think about our spiritual lives and what we believe in. On Sunday we attended the weekly mass at the nearby church with the people from the villages close by, this was one of the things that has stuck with me the most because of the strong community spirit that we felt and how kind everyone was in welcoming us into their parish to share in prayer with them. I will remember my time there for the rest of my life and will always think of the amazing people that I met. Reflectin g back on our trip to Uganda we remembered the amazing drive the girls in the school had for their education and how impressed we were at their dedication and hard work. Looking back on the sports day we did with them and when we taught everyone how to play rounders we were reminded of their excitement to try something new and the enthusiastic way they took on the task. The way they approached their school work and learning a new sport inspired us greatly and our attitudes to work were definitely changed. 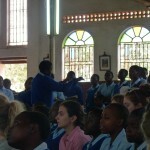 Going to Church and to Mass in the school highlighted to us how devoted to God all the girls at the Ugandan school were. The way they sang and prayed with so much emotion helped us all to deepen our faith which once again was something that changed us on our return to England.